We can all agree that the triumvirate of children, libraries, and dogs is utterly delightful — but did you know that this combo is also educational? 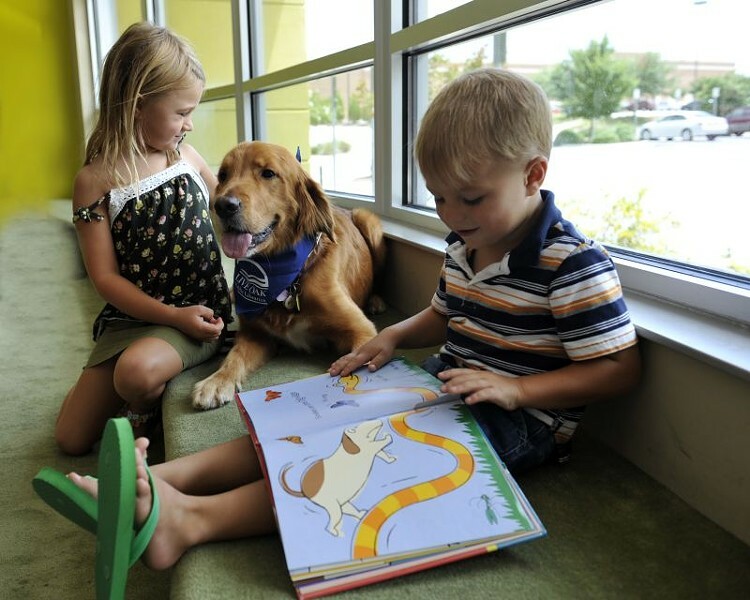 To illustrate this point, Live Oak Public Libraries hosts Dog Days, a literacy enrichment program for reluctant readers that's run for nearly a decade. Observable results include improved test scores, speedier second language acquisition, and a plain old love of reading that's increasingly difficult to cultivate in our age of iDistractions. It works like this: Children drop in during scheduled sessions at five branches of the Live Oaks library constellation — as of this summer, the roster includes Oglethorpe Mall Library, Pooler Library, Rincon Library, Southwest Chatham Library, and Springfield Library — and partner with a pet for an afternoon of recitation. Pups provide an uncritical audience, boosting children's reading confidence. As participants improve their literacy skills by reading out loud, they select more challenging texts, read more often, and associate positive feelings with books. As Coni Coleman, the Southside area coordinator, describes it, "Dogs can be the carrot that helps get kids into the library." A veteran librarian with three decades of experience in the Islands and Southwest Chatham branches, Coleman is canine coordinator-in-chief. 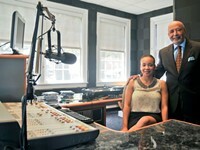 She discovered the idea in a professional library journal, and adapted a pilot program for the Lowcountry. "It started very selfishly," she demurs modestly, "I always thought a 'library pet' would be enhance the atmosphere of this small community library. Turtle and fish had been tried, unsuccessfully." Man's best friend was the logical next step. "Dogs are great listeners and their human handlers encourage reading instead of judging the [Dog Days partipants]." Ironically, Coleman found her own dog, a dachshund named Heidi, to be "very demanding," too fidgety an audience for reading time. She asked Cissy Fox, a local realtor who moonlights as a Golden Retriver breeder, to give her "the perfect library dog." And that's how she got Howie, one of 25 dogs that call the library their second home. Most people are familiar with guide dogs for the blind, hearing dogs for the deaf, and service dogs for people with various disabilities. A spate of recent research reinforces the advantageous emotional and physical relationships between dogs and their human companions. Therapy dogs have been deployed after traumatic events and in nursing homes and correctional centers. Although they're not subject to the intensive training of full-time assistance dogs, therapy dogs are specially evaluated, trained, and registered for their volunteer work. Coleman often sends interested volunteers to Carol Mett, a local dog trainer and official judge of the American Kennel Club. Mett espouses the theory that every dog needs a purpose and she can predict if Dog Days is the right job for your bowwow. All Dog Day pooches are certified through Therapy Dogs International. And although the dogs share a calm temperament and a strict hygiene regimen, that's where the similarities end. "We have everything from a Katrina-rescued Yorkie named Grayson, to a gigantic Schnauzer named Denny, owned by a police officer who volunteers with the program," says Coleman. "We have every kind of breed from Dachshunds to Rottweilers and lots of Heinz 57 breeds." The libraries have even welcomed puppies of the first Dog Days' generation. No matter the stripe, "knowing that a dog friend is waiting for the readers provides an incentive to make regular visits to the library," assures Coleman. Coleman's dog Howie often accompanies her to work and welcomes visitors from a blanket under the desk. He also keeps an eye on the welfare of library patrons. If he senses "computer confusion," aka that moment you're ready to hurl a desktop across a room because it just won't print, he'll amble over and offer moral support. "A few minutes later," Coleman says, "the 'computer hand' would be rubbing Howie's head and all stress diffused." Just as Howie's powerful influence at the computer station extends beyond his official role as reading dog, Dog Day participants enjoy the side benefits of a dog's company. Youngsters unable to have a pet of their own can nurture a relationship with an individual pooch over regular visits. Furthermore, studies indicate that these burgeoning bookworms can improve their reading scores by an entire grade level. Therapy dogs are particularly successful on the remedial level, to new students of English, and to those affected by dyslexia. And kids get a chance to carry-on a conversation with an adult in a safe environment, unwittingly practicing the "endangered" art of conversation, as Coleman diplomatically phrases it. Ultimately, of course, everyone benefits — volunteers, teachers, students, parents, and pooches alike. "Some of the dogs put their paws on the pages and some curl up in the child's lap for a closer look at the page," Coleman explains. With such an attentive audience, who wouldn't love a trip to the library? And, it's all free. 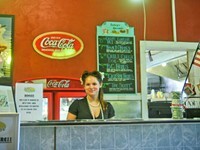 Dog Days is just one of the perks available at Live Oak Public Libraries. Their vast collections are always a draw, as are the hundreds of Microsoft-equipped computers, free wifi and career services. You can even borrow a Kill-a-Watt kit to test the energy usage of your appliances. 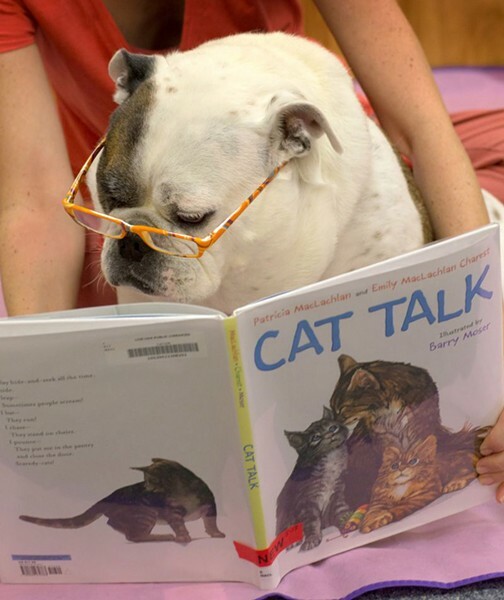 So it's impressive, indeed, that the Live Oak Libraries can provide adventures on an intrastate scale and still be attentive to the intimate reading experience of Dog Day participants. Librarians can select books or let children choose from a group curated by reading level. Some kids bring a book from home to read to their pooch partner. (Lassie, Call of the Wild, Marley & Me, and 101 Dalmatians are not required, but most likely appreciated.) As a sweet treat, participants receive a bookmark with the dog's portrait. 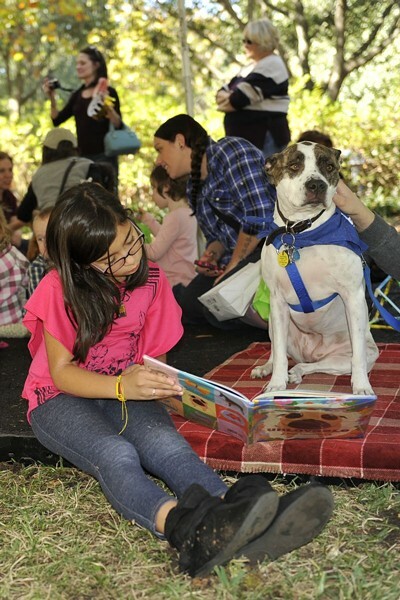 If you can't stop by a library in the next few months, check out the pooches at the Savannah Children's Book Festival in November. Happy trails, tales, and tails to you 'til then. • Pooler Library, 748-0471, Monday, August 5, 4:30 p.m.
• Rincon Library, 826-2222, Wednesday, August 14, 4:30 p.m.
• Southwest Chatham Library, 925-8305, Saturday, August 10, 12:00 p.m.
• Springfield Library, 754-3003, Thursday, August 8, 4:30 p.m.